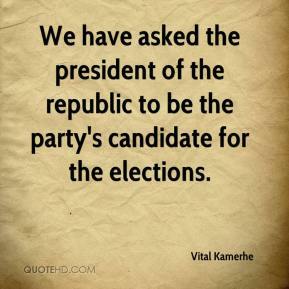 We have asked the president of the republic to be the party's candidate for the elections. 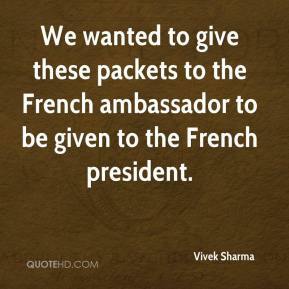 We wanted to give these packets to the French ambassador to be given to the French president. 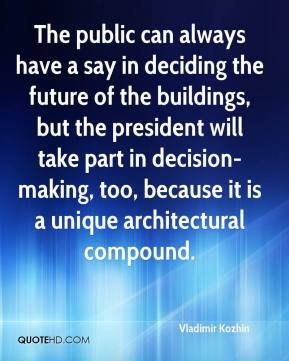 The public can always have a say in deciding the future of the buildings, but the president will take part in decision-making, too, because it is a unique architectural compound. 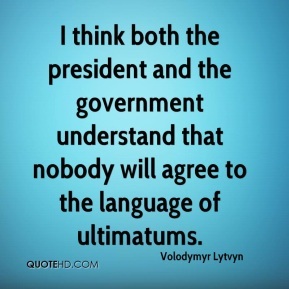 I think both the president and the government understand that nobody will agree to the language of ultimatums. 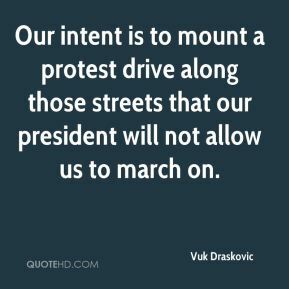 Our intent is to mount a protest drive along those streets that our president will not allow us to march on. The president was very shocked to learn about this. 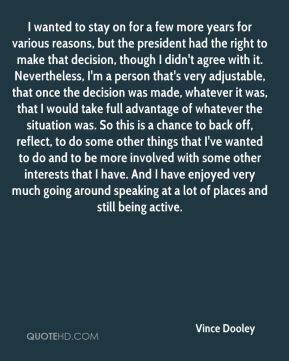 I wanted to stay on for a few more years for various reasons, but the president had the right to make that decision, though I didn't agree with it. Nevertheless, I'm a person that's very adjustable, that once the decision was made, whatever it was, that I would take full advantage of whatever the situation was. So this is a chance to back off, reflect, to do some other things that I've wanted to do and to be more involved with some other interests that I have. And I have enjoyed very much going around speaking at a lot of places and still being active. 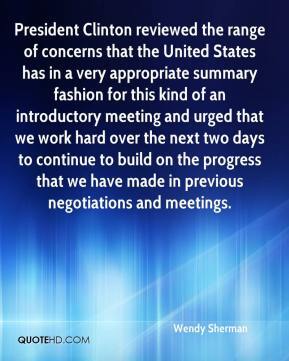 The president has an important challenge and opportunity. 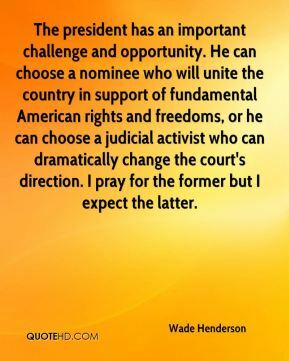 He can choose a nominee who will unite the country in support of fundamental American rights and freedoms, or he can choose a judicial activist who can dramatically change the court's direction. 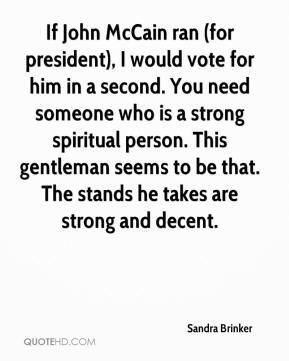 I pray for the former but I expect the latter. 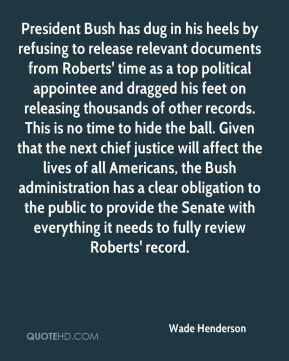 President Bush has dug in his heels by refusing to release relevant documents from Roberts' time as a top political appointee and dragged his feet on releasing thousands of other records. This is no time to hide the ball. Given that the next chief justice will affect the lives of all Americans, the Bush administration has a clear obligation to the public to provide the Senate with everything it needs to fully review Roberts' record. 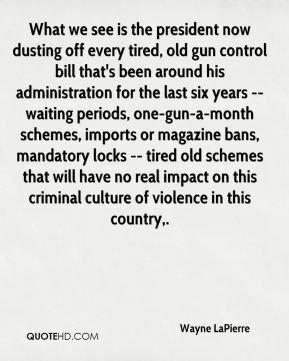 What we see is the president now dusting off every tired, old gun control bill that's been around his administration for the last six years -- waiting periods, one-gun-a-month schemes, imports or magazine bans, mandatory locks -- tired old schemes that will have no real impact on this criminal culture of violence in this country. I blame the government. 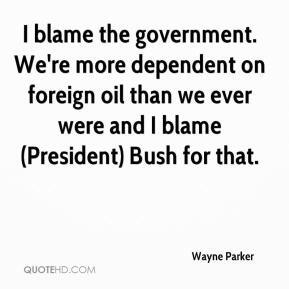 We're more dependent on foreign oil than we ever were and I blame (President) Bush for that. It's no secret that many Venezuelans believe that Trinidad and Tobago is giving away its natural-gas reserves. 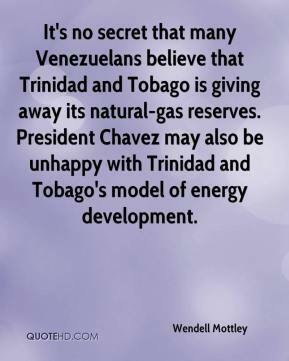 President Chavez may also be unhappy with Trinidad and Tobago's model of energy development. As president, I would support giving gays and lesbians the legal rights that married couples get. 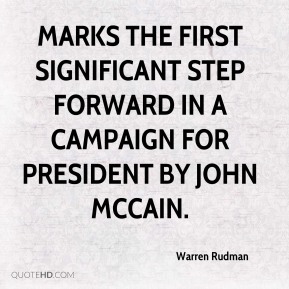 marks the first significant step forward in a campaign for president by John McCain. 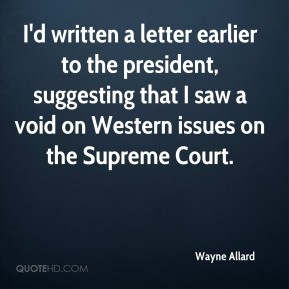 I'd written a letter earlier to the president, suggesting that I saw a void on Western issues on the Supreme Court. 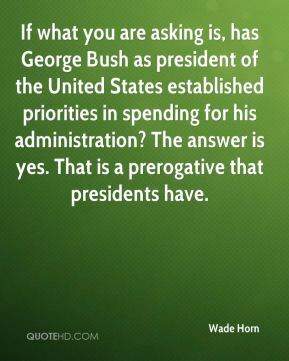 If what you are asking is, has George Bush as president of the United States established priorities in spending for his administration? The answer is yes. 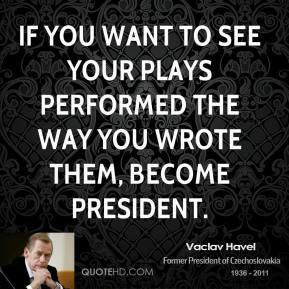 That is a prerogative that presidents have. 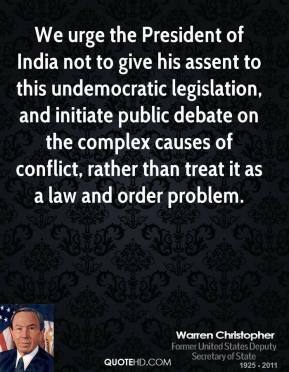 We urge the President of India not to give his assent to this undemocratic legislation, and initiate public debate on the complex causes of conflict, rather than treat it as a law and order problem. 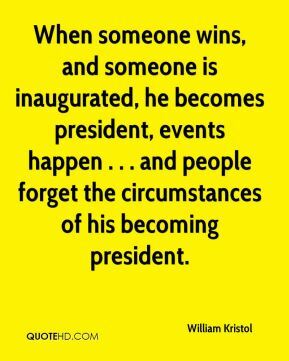 When someone wins, and someone is inaugurated, he becomes president, events happen . 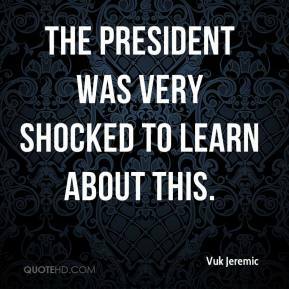 . . and people forget the circumstances of his becoming president. Does he [the president] possess the power of making war? That power is exclusively vested in Congress. . . . 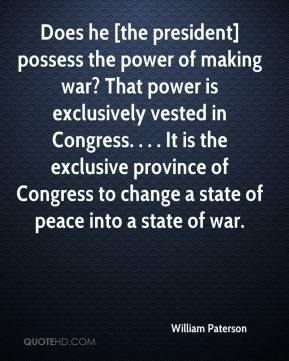 It is the exclusive province of Congress to change a state of peace into a state of war. We're trying to raise awareness of fallen heroes. We support our president and his decision. 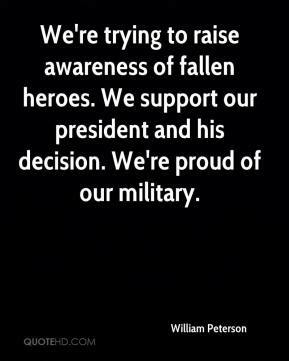 We're proud of our military. 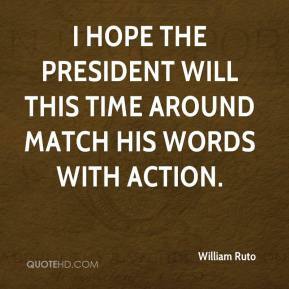 I hope the President will this time around match his words with action. 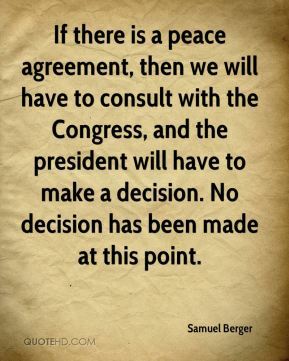 If there is a peace agreement, then we will have to consult with the Congress, and the president will have to make a decision. No decision has been made at this point.